Have you ever heard colleagues from other companies talking about failing to meet sales targets, and then the conversation gets… vague regarding why that happened. 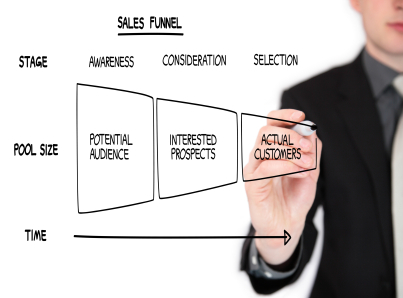 Many companies create their sales targets from “best guesses”. While hunches may play a part, there should be solid numbers in sales forecasts that relate back to marketing efforts. The reverse is also true that marketing efforts should tie back to desired sales targets. Most companies have a sales plan. Some companies have a marketing plan. Fewer still have them tied together. It is really a matter of math. The sales plan sets the targets, and the marketing plan provides a reality check to these numbers and defines how the targets will be met. Quantitatively. In this course you will learn how to create a sales plan, a marketing plan, and tie the two together. Our methods tie all the numbers together from sales targets right down to the amount of effort required from marketing in to achieve them.